For breakfast I had some...guess...yes, eggs. Haha! 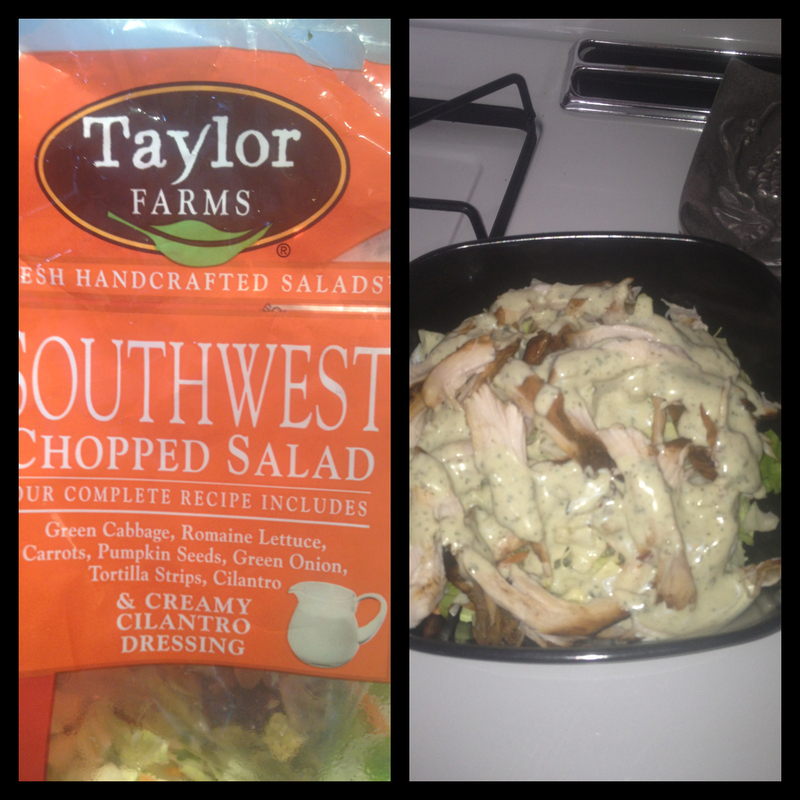 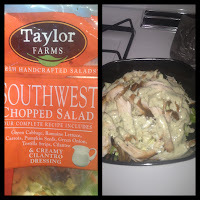 And for lunch I had leftover BBQ chicken with a yummy salad I found at Sprouts. 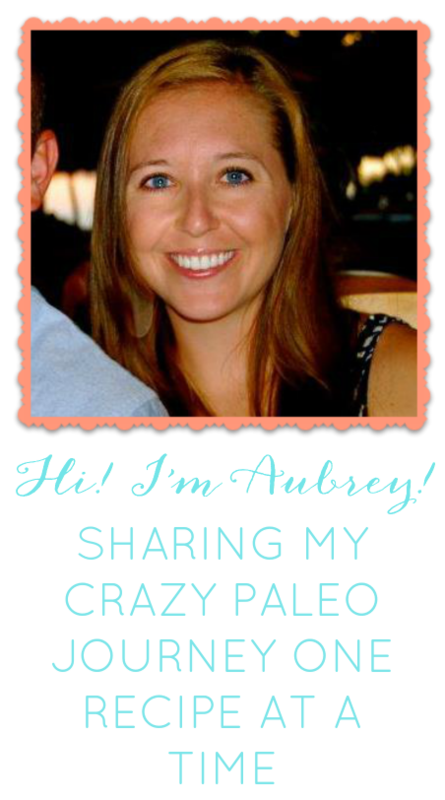 And for dinner I made some Paleo meatballs...YUM. 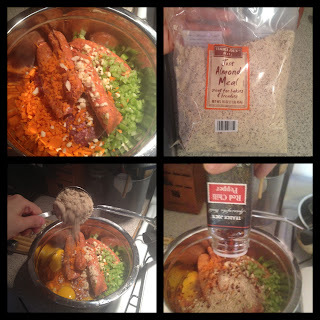 You need a crock pot. 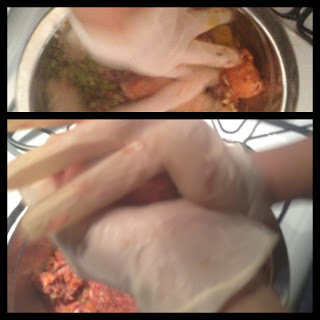 And some time to make these. 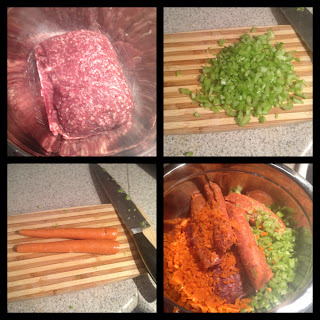 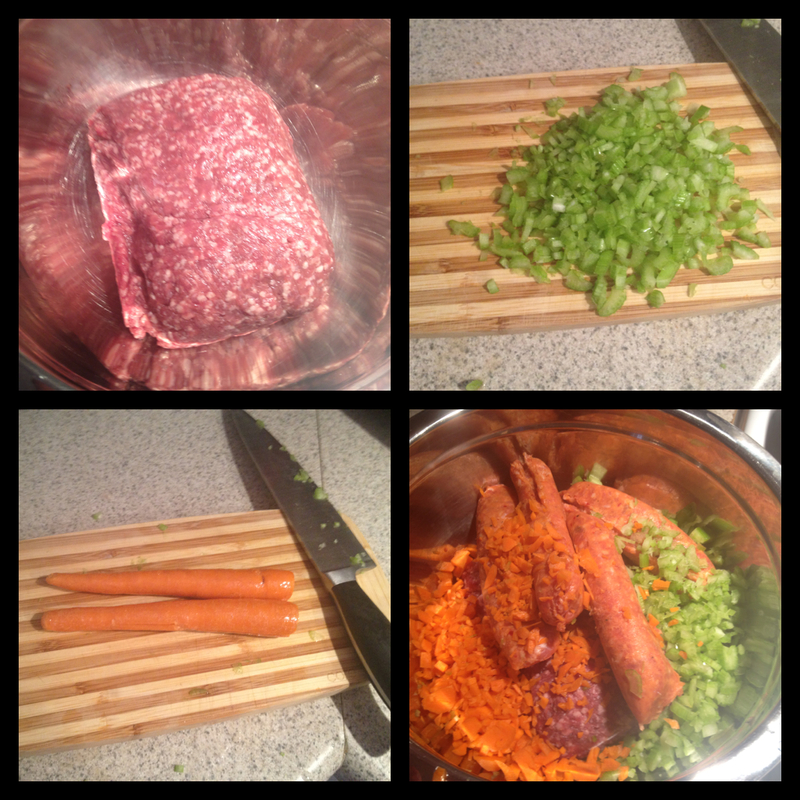 Step 1: I added the ground beef, spicy sausage, dices carrots and diced celery to a big bowl. 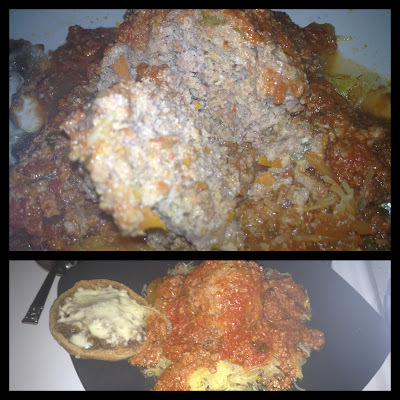 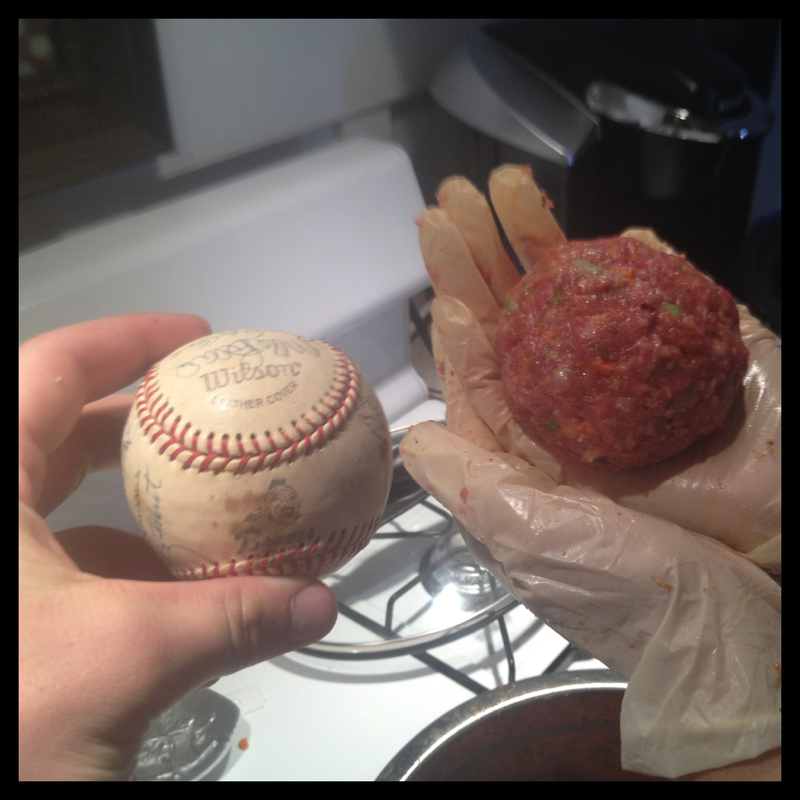 Step 4: I then mixed all the ingredients together and made baseball sized balls with the mixture. 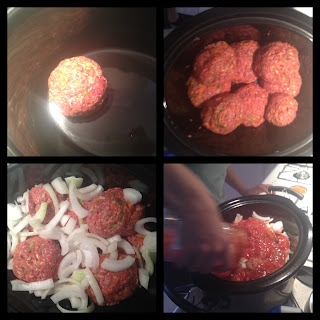 Step 5: I put my slow cooker on low and added all the meatballs, the onion and then added a jar of marinara. 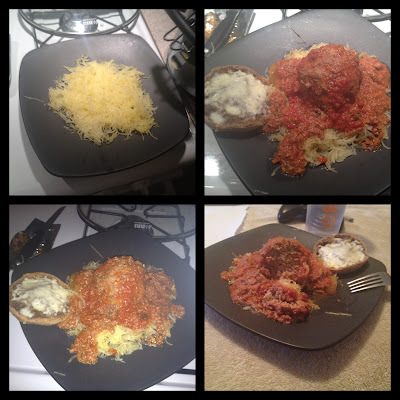 Step 6: Finally, I let this cook for low for 6-8 hours and served it with some spaghetti squash and an Against The Grain Roll that I cut in half, added butter, garlic salt and cheese then baked for about 10-15 minutes (until the cheese melted).